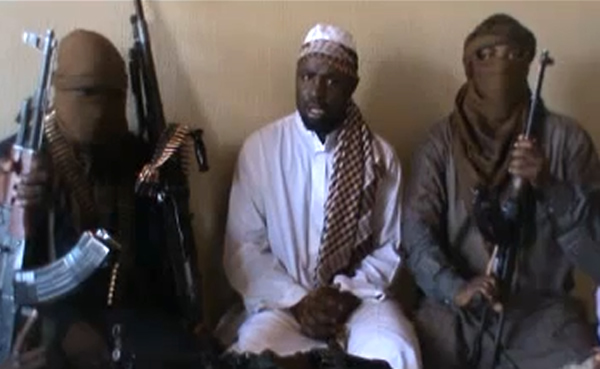 Abubakar Shekau in familiar declamatory pose. After four years of incessant Boko Haram violence in northern Nigeria and an estimated 8,000 deaths, Nigerians are now protesting what they see as an ineffectual government response to the insurgency. International media is now also paying greater attention to the growing humanitarian crisis in the Nigeria-Niger-Cameroon-Chad border axis. The cause of the latest outrage in Nigeria is Boko Haram’s kidnapping of 230 girls from a secondary school in Chibok, Borno State and the bombing of a motor park outside of Abuja that killed nearly 100 bystanders. Just today there has been another bombing in Abuja, latest reports indicate that 19 people have been killed. Both the mass-kidnapping and the first of the motor park bombings occurred within a 24-hour span on April 14-15 and were highly foreseeable””and likely preventable. In video statements since 2013, Boko Haram’s religious leader, Abubakar Shekau, has warned that “˜infidel’ women would become his “slaves“ and that he would “sell them in the market.” According to Boko Haram, the girls in Chibok are “infidels” whether or not they are Muslim because they receive Western education – which Boko Haram considers apostasy – instead of Boko Haram-sanctioned Islamic Salafist education. Boko Haram founder Muhammed Yusuf preached that the only “pure” scholars that Muslims should follow are al-Qaeda, the Taliban and Usama bin Laden. Boko Haram further believes that “˜infidels’ must pay a tax imposed on non-Muslims under Muslim rule, which is called jizyah in the Qur’an, to Boko Haram for protection. But because the girls in Chibok did not pay the tax, Boko Haram is entitled to forcibly marry them as compensation or – as Shekau promised – sell them. Boko Haram already sold several girls as “˜brides’ to Boko Haram members across the border in Cameroon for $12. Shekau rose to become the second most important imam in Boko Haram before Nigerian security forces killed Muhammed Yusuf in 2009 and was recognized as being a charismatic””albeit chaotic”” speaker on Islam. He manipulated the Islamic history of the Borno Empire, which spanned northeastern Nigeria, Niger, Cameroon, Chad, Sudan and Libya, to rally followers to embrace jihad against the Nigerian government and resurrect Borno’s supremacy. It also helps that Shekau speaks Hausa (the lingua franca of northern Nigeria), Kanuri (the native language in Borno), classical Arabic (the language of the Qur’an) and English (the language of Nigeria’s elites). This suggests Shekau himself is a product of “˜Boko’, which roughly translates as “˜Western education’ in Hausa (“˜haram’ means “˜forbidden’ to Muslims). Since Boko Haram became an underground jihadist group after Yusuf’s death, Shekau likely took his cue from al-Qaeda, which Boko Haram contacted as early as 2004, and may have literally read scripts that al-Qaeda provided to him for sermons he taped from his various hideouts. Shekau typically pledges allegiance to al-Qaeda and its affiliates and threatens America in the introductions to his sermons, often with a script in hand, before chaotically “damning” all Christians, politicians and Nigeria’s Islamic leaders in a way similar to Maitatsine in 1980s. This may also explain why Shekau, who is Nigerian, often declares that Boko Haram is “waging a jihad in some African countries called Nigeria,” which makes no sense, and why Boko Haram attacked churches starting in 2010 to raise the spectre of religious war in Nigeria just like al-Qaeda has done in Iraq, Syria and elsewhere (Muhammed Yusuf, in contrast, maintained good relations with Christians). Boko Haram’s first church attacks in Jos, Plateau State on Christmas Day, December 2010 involved five simultaneous bombings and, according to Nigerian security forces, “bore the hallmark of al-Qaeda.” Since 2010, Boko Haram has burned down hundreds of churches and looted Christian communities, which Shekau says is justified under the Qur’anic injunction of “spoils of war,” or ghanima. Yet, even when Boko Haram “conquers” such villages, it refuses to establish any governance mechanisms, suggesting that Boko Haram has learned from other al-Qaeda affiliates in northwest African and Yemen that becoming bound to territory, distracted by bureaucracy, and responsible for imposing an unpopular brand of Islamic Law, is a prescription for failure. Yet, as Boko Haram’s power has risen, it has become clearer that Shekau’s ban on “˜Boko’, hatred of America, Christianity, secularism, and democracy, and assault on the Nigerian government’s legitimacy are not extreme in the Nigerian context. Millions of Nigerian Muslims follow religious movements with similar attitudes””from the Iranian-backed IMN and Gulf-funded Izala Movement to the animist group Ombatse. 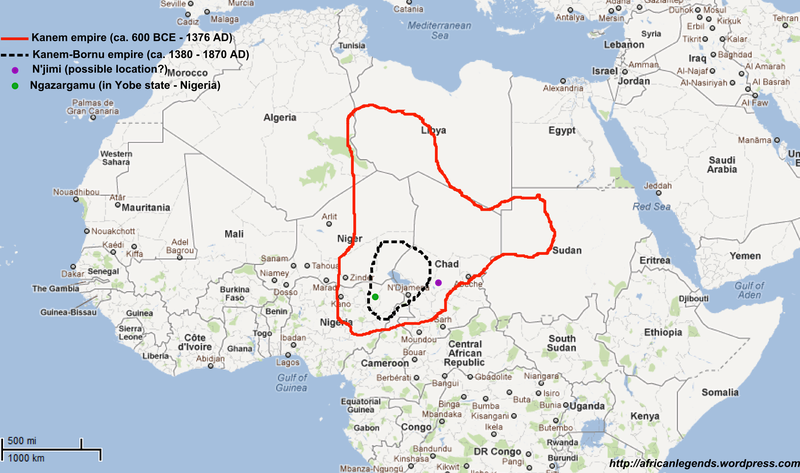 Like these movements, Boko Haram also has support from the outside, albeit from a non-state actor in al-Qaeda, which provided it with training, ideological direction, and funding likely through Usama Bin Laden’s “˜External Operations Unit’ commander, Yusuf al-Mauritani, who is now in prison in Mauritania. It is, however, Shekau’s strong domestic ideological currency in “damning” Nigeria’s ills, in particular corruption and impunity, and his ability to convey this in an Islamic and historical context that makes Boko Haram resonate among both the marginalized al-Majiri youths of northern Nigeria and under-employed intellectuals of Nigerian universities. Nonetheless, Boko Haram’s actions, such as the mass-kidnapping of young girls in Chibok, far exceed what is considered tolerable among mainstream or even other extremist movements in Nigeria. The rise of a faction of Boko Haram in 2012 critical of Shekau (called Ansaru), whose leaders are former al-Qaeda in the Islamic Maghreb (AQIM) members and accomplices of Yusuf al-Mauritani, Mokhtar Belmokhtar, and other al-Qaeda figures, shows the extent to which Boko Haram deviates from the brand of Islam practiced by Muslims in Nigeria, around the world and even some al-Qaeda members. Although it would come at great personal risk, since Boko Haram proudly assassinates detractors, including Ansaru members, Salafist clerics, and most recently Sheikh Albani of Kaduna, religious leaders in Borno and elsewhere in Nigeria must vehemently and frequently call out and delegitimize Boko Haram for its excesses, if not its more conventional ideology. First, it needs to not only “˜clear’ enclosed areas in Borno, like it did in the Sambisa Forest after President Jonathan announced a State of Emergency in May 2013, but also “˜hold’ such areas so Boko Haram cannot return, like it did in order to capture the girls in Chibok. Second, it needs to cooperate with neighboring militaries and governments in Niger, where dozens of Boko Haram members are recruited; Chad, where weapons are funneled into Borno across Lake Chad; and Cameroon, where the Chibok girls are being sold and Ansaru has kidnapped more than ten Western tourists and Christian priests and nuns. Third, it needs to coordinate with other countries in Africa and in the West to learn the lessons of militaries with experience in counter-insurgency and undercut Boko Haram’s ties to al-Qaeda and affiliated terrorist groups. This includes al-Shabab, which provided Boko Haram with the bomb-making skills to carry out the UN Headquarters attack in Abuja in 2011 and likely also the recent Abuja motor park bombings. The Boko Haram insurgency cannot be wished away as a “temporary crisis.” Elections are scheduled for February 2015, but if Borno and other areas in northern Nigeria are under Boko Haram’s mandate of violence, Shekau will succeed in undermining the democratic process he so despises. Moreover, theories are rampant in majority Christian southern Nigeria that Boko Haram is underwritten by northern Nigerian Muslims to undermine President Jonathan and return political power to the north. But in majority Muslim northern Nigeria, many people believe that President Jonathan and southern politicians are willfully neglecting the Boko Haram crisis to perpetuate the State of Emergency and ensure that elections in 2015 will not be held and that political power – and accompanying oil profits – will stay in the south. Meanwhile, from a regional perspective, in 2012 it was the UN and ECOWAS seeking Nigeria’s support to combat al-Qaeda and other Islamists occupying northern Mali, but now in 2014 it is Nigeria seeking UN and ECOWAS support to combat Boko Haram and find the abducted girls from Chibok. Boko Haram is tearing apart the fabric of Nigeria, with consequences for African stability, Muslim-Christian relations in Africa, and the viability of democracy in Nigeria. Until Nigeria cleans its own house and works with its neighbors and other allies to combat this threat, there will be no limit to Boko Haram’s ability to devastate northeastern Nigeria and its borderlands and impose a Taliban and al-Qaeda order in the region. Jacob Zenn is an analyst of African Affairs and author of “Northern Nigeria’s Boko Haram: The Prize in al-Qaeda’s Africa Strategy,” which was published by The Jamestown Foundation. Sudan: Which is Your Party?